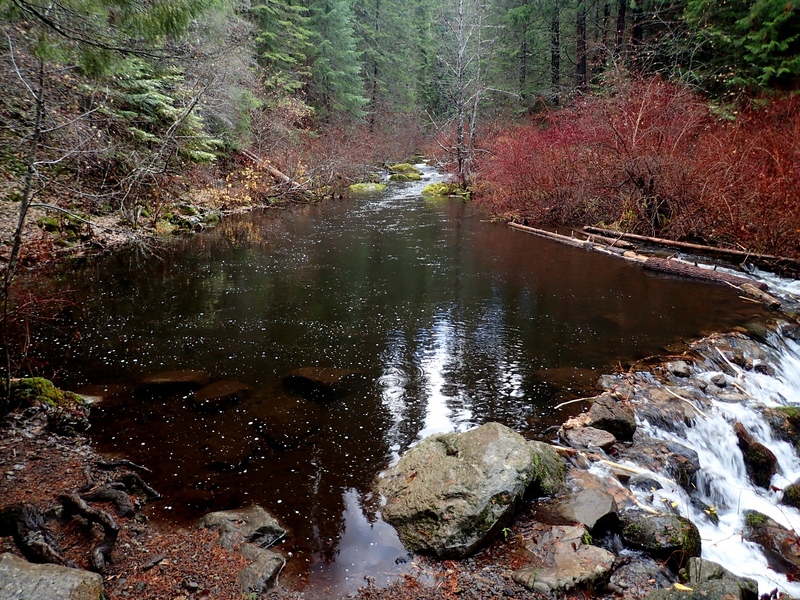 As we’ve noted in previous posts, we have a project underway to at least visit all of Oregon’s 47 established federal wilderness areas that we’d missed visiting in years past (less the two – Oregon Islands and Three Arch Rocks – that are closed to public entry). 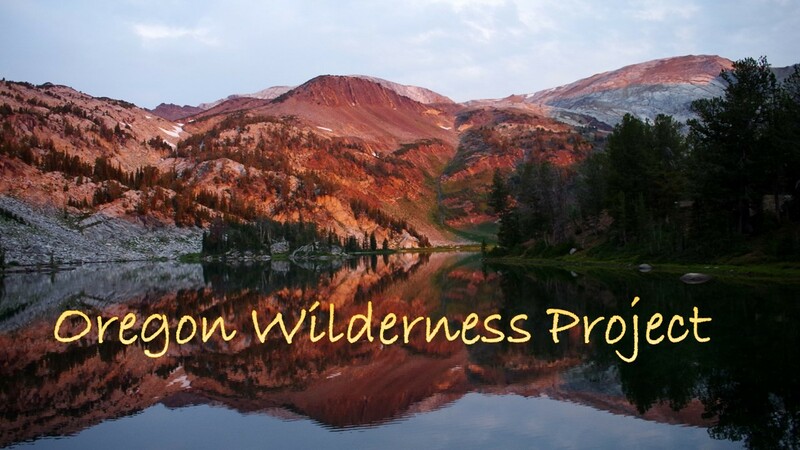 We started in January 2016 with 18 wilderness areas left to be visited and it looked like we would get to visiting all of these remaining ones in 2016 – until other hiking and travel opportunities diverted us and we lost monentum. 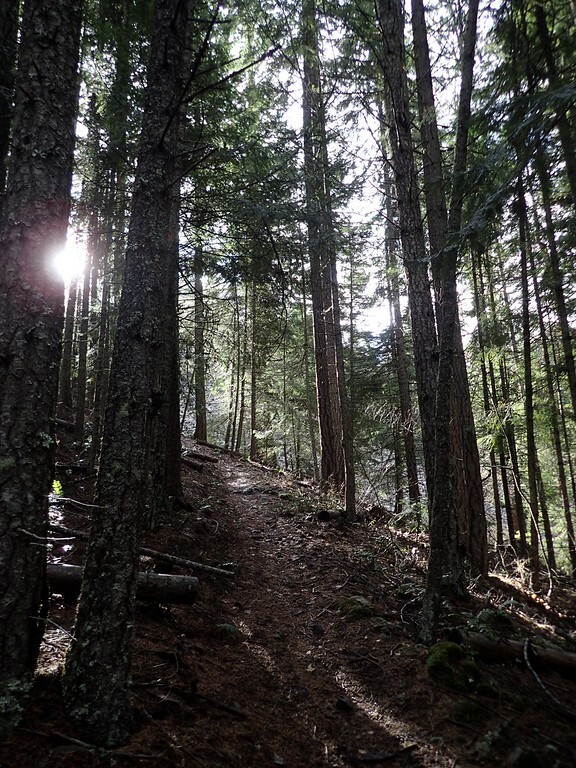 So when personal business took us up to Portland, Oregon (aka the “big city” now that we live out in the provinces), we grabbed the chance to visit the Lower White River Wilderness. 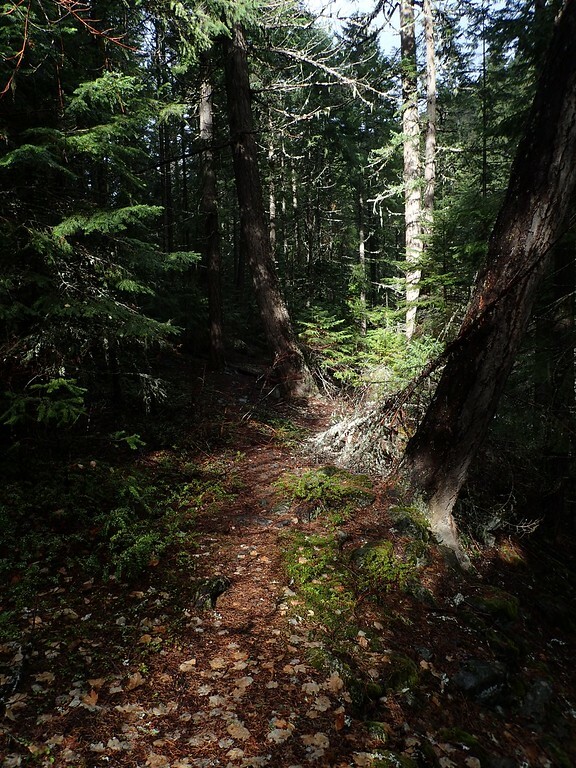 This is another of those small (2,871 acre), fairly obscure wilderness areas whose primary human purpose is watershed protection and not recreation. 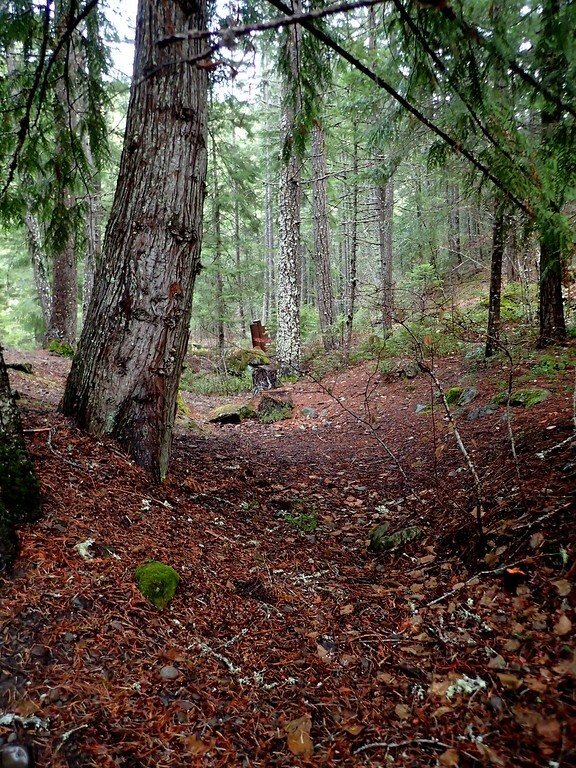 There is a small USFS forest camp (Keeps Mill) at its north end but no established trails in the wilderness itself. 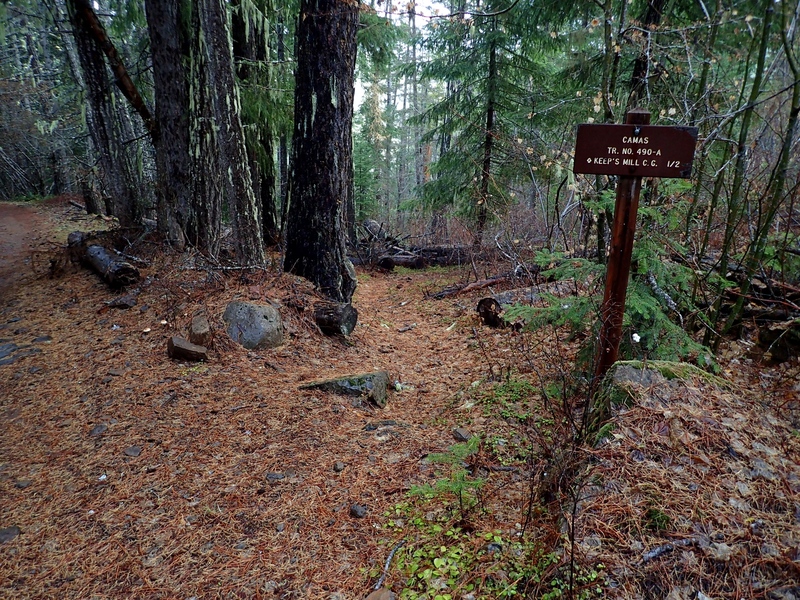 A use trail goes a short ways downstream from the camp, and you can go cross-country if you’d like (Koda’s trip report), but, again, this one is about watershed protection not hiking. The road to the forest camp is paved up to the USFS seed farm (about 2.5 miles in) and then becomes rapidly worsening dirt from there on. 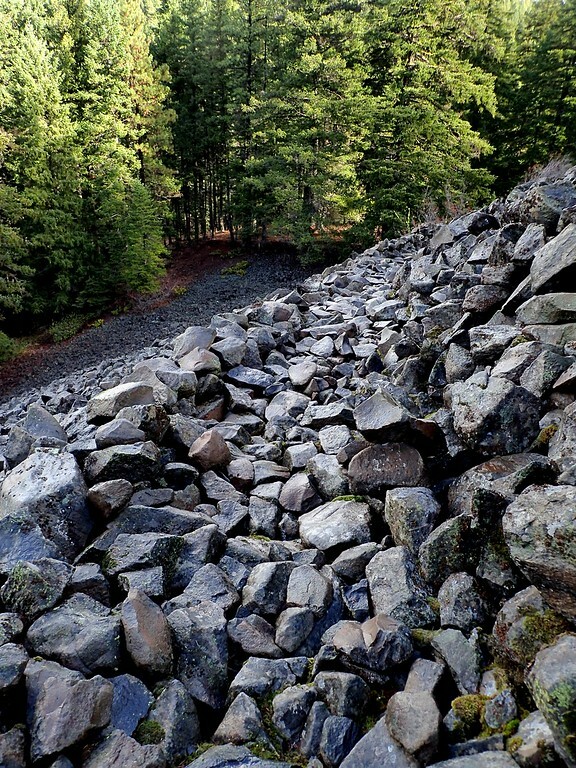 We had been informed that the last 1.5 miles of this road was only suitable for high clearance vehicles but found the true obstacle to be the large number of large, sharp rocks clogging the road – we feared for our sidewalls. 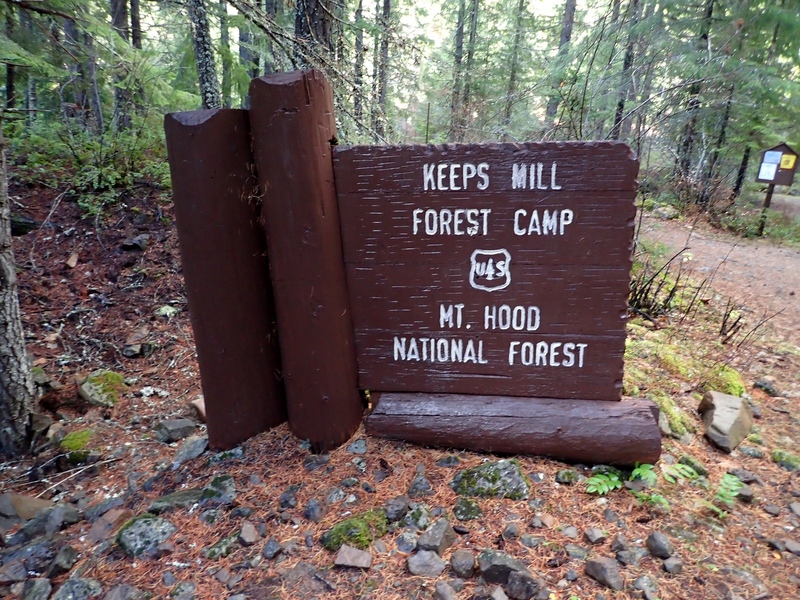 So, rather than escalating our drive into the adventure/rescue category, we parked (as have others) where Forest Road (FR) 2120 crosses the Camas Trail (USFS #490/#490A). 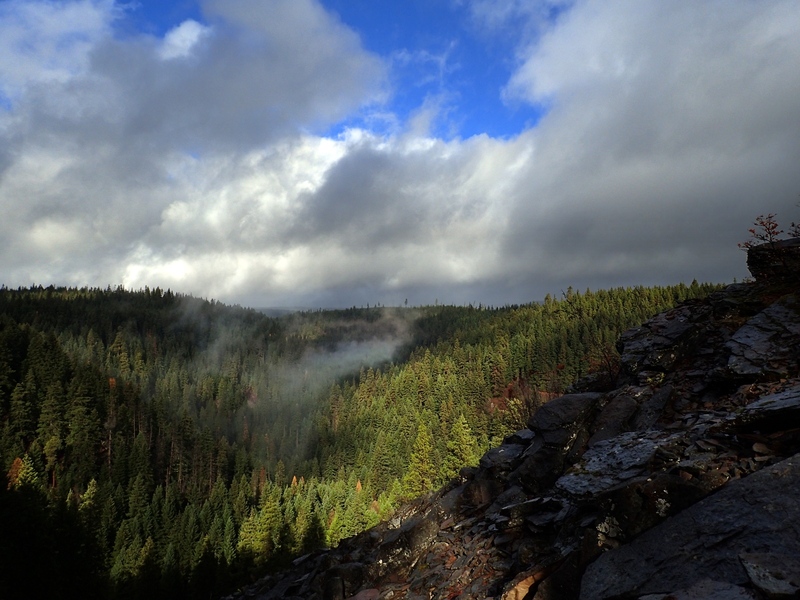 It was pouring rain as we left Portland and continued doing so as we went through Government Camp and on down Mount Hood’s east side. 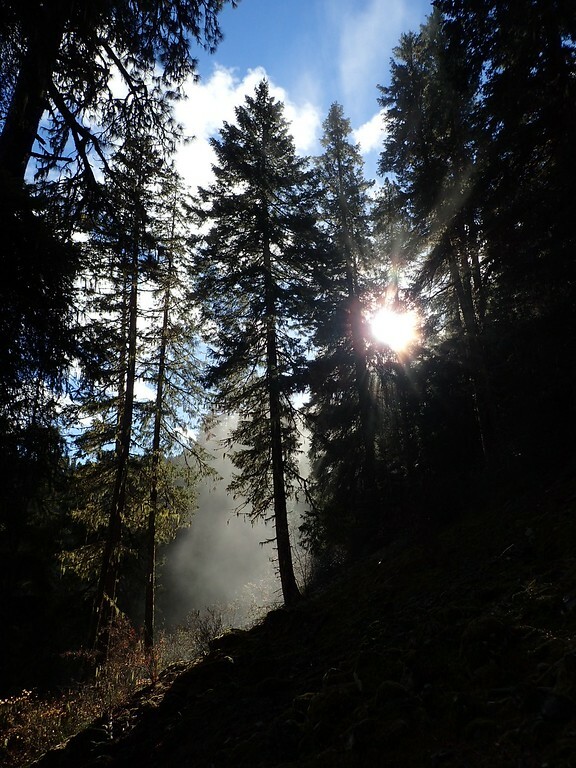 But by the time we got to the Camas Trail it seemed we’d entered Hood’s rain shadow, at least temporarily, as it was no longer raining and there were even sunbreaks! But the LovedOne, not at all keen on getting stuck in a surprise downpour, stayed in the car knitting while I chanced the elements. Before heading down the Camas Trail, I went out on to an open, rocky promentory for a cloud-obscured view up the White River valley. 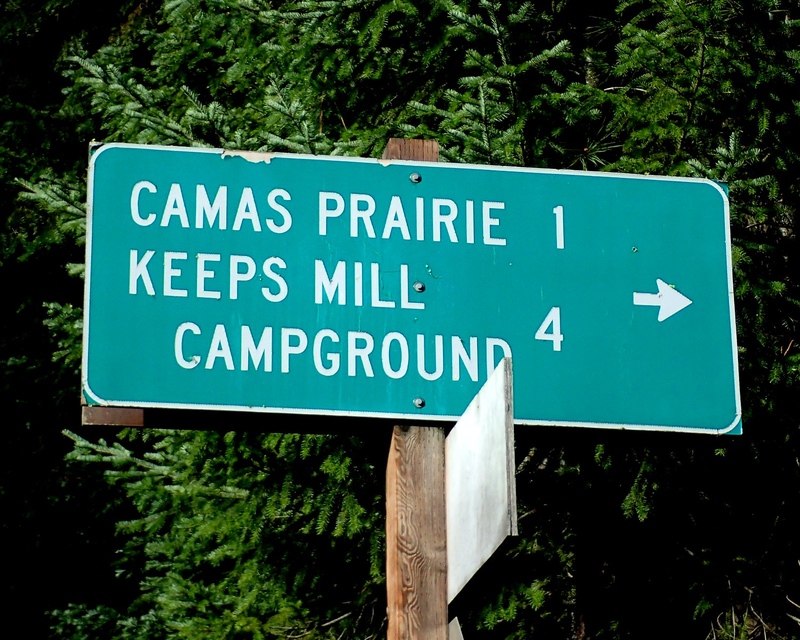 Then it was down the short piece of the Camas Trail between FR 2120 and Keeps Mill camp. 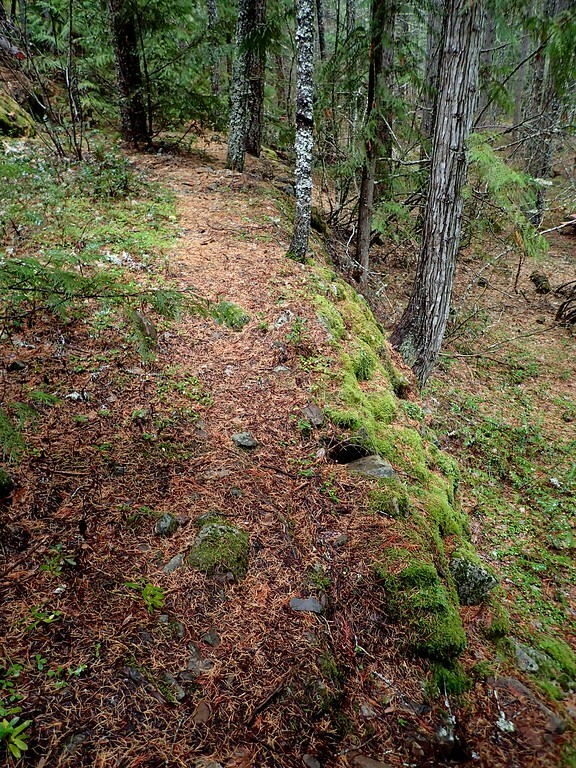 This is a very good section of trail, mostly on dirt/duff but with an interesting (and slippery) crossing of the rubble field below that rocky promentory. but the weather was still holding good when I came off the #490A on to FR 2120 just before Keeps Mill. 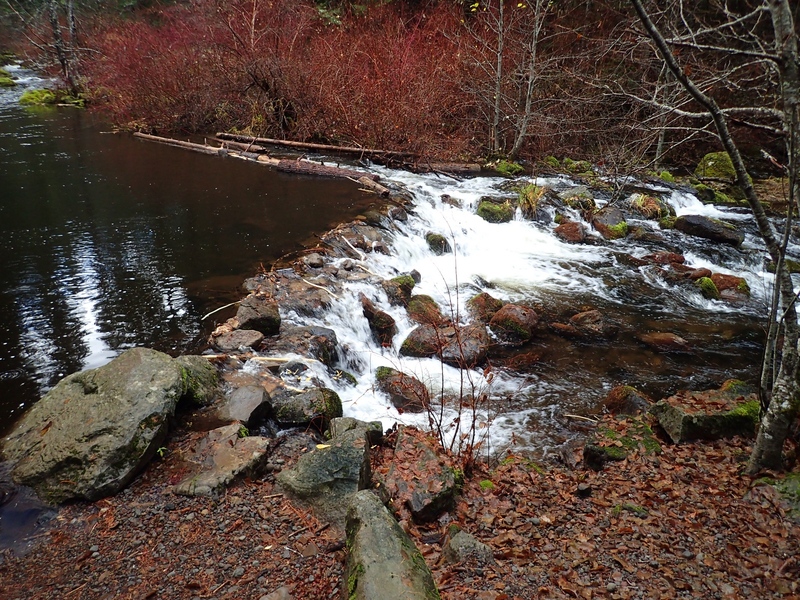 Once there, it was a short walk over to see the Lower White River – which was more cafe au lait due to the heavy rains washing off of Mount Hood. 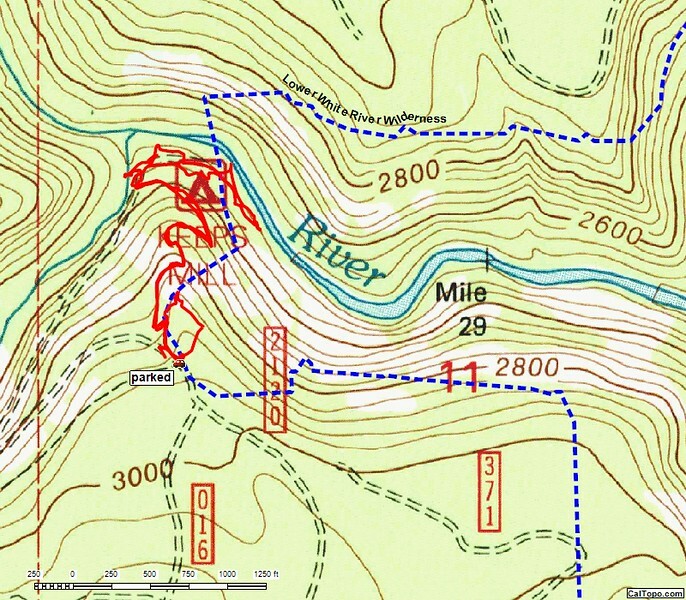 I went a little ways downstream along a use trail to confirm my “visit” to this wilderness and then turned back when the brush began to thicken. 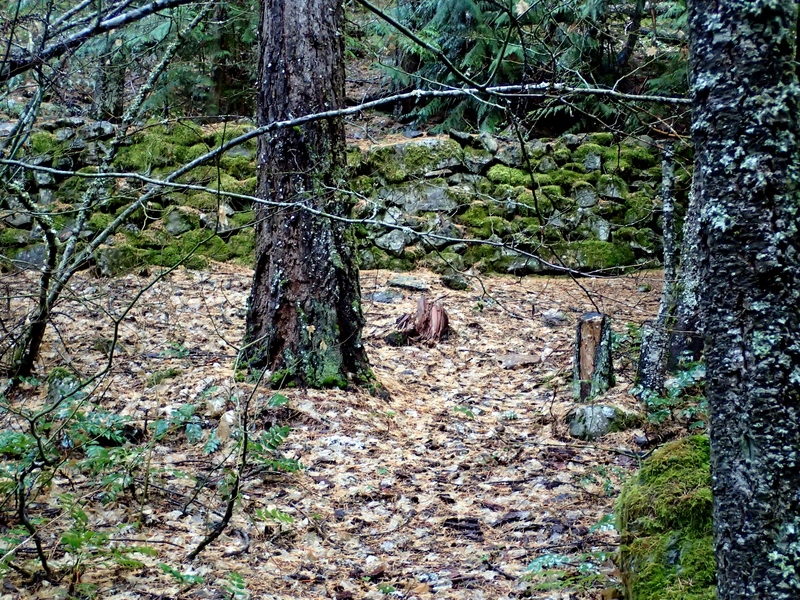 On the way back, I noticed a stone wall above the camp sites, which I initially mistook for an old road but later learned was part of a flume associated with a sawmill (Keeps Mill) that had been on the bluff above the current forest camp at least through the 1920s. 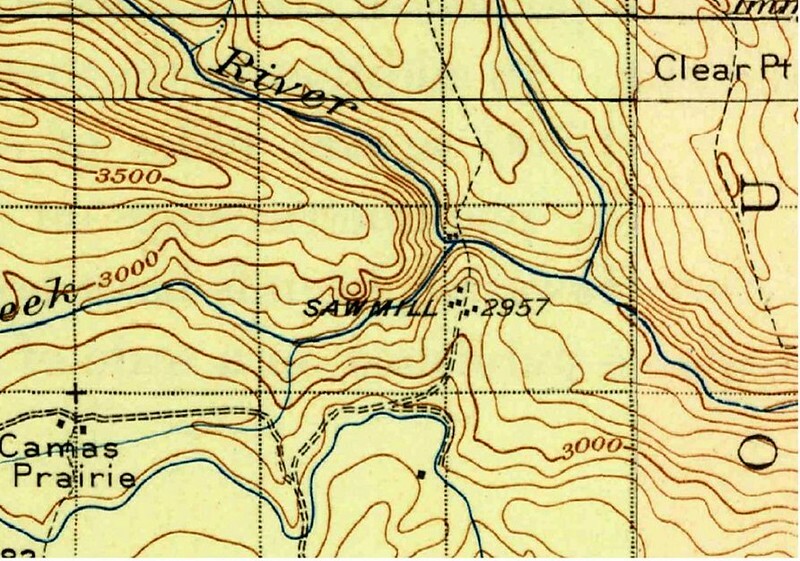 through a cut, across FR 2120, to Clear Creek, where I could look back and see the now faint outlines of the flume ditch. 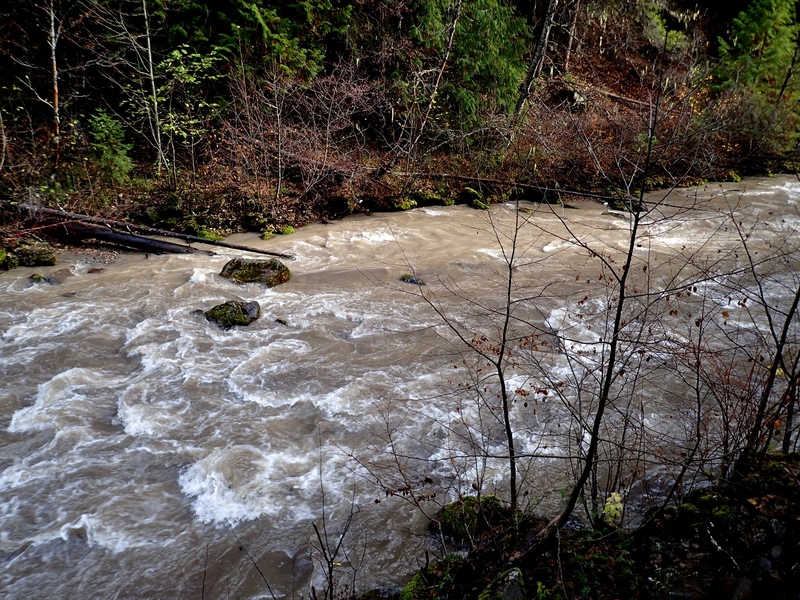 Clear Creek wasn’t silted like the Lower White but wasn’t clear either, as it was tea-colored from lignins. 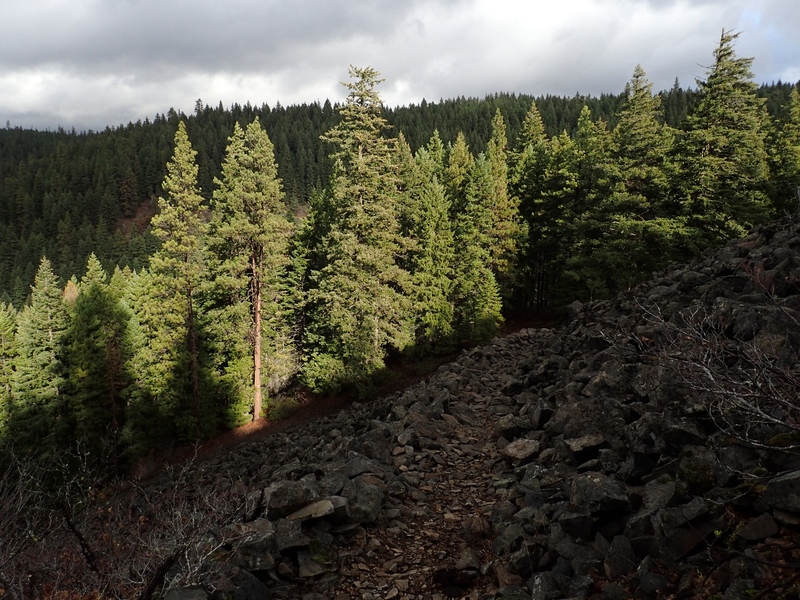 After that, it was back up the trail (1.7 miles round-trip; 400 feet of elevation gain) to interrupt the LovedOne in mid-stitch and head back to Portland via Hood River. I’d had a blissful rain-free hour out-and-back to the Lower White but we were back into periodic showers as soon as we got past Hood. Ah, winter in Oregon. 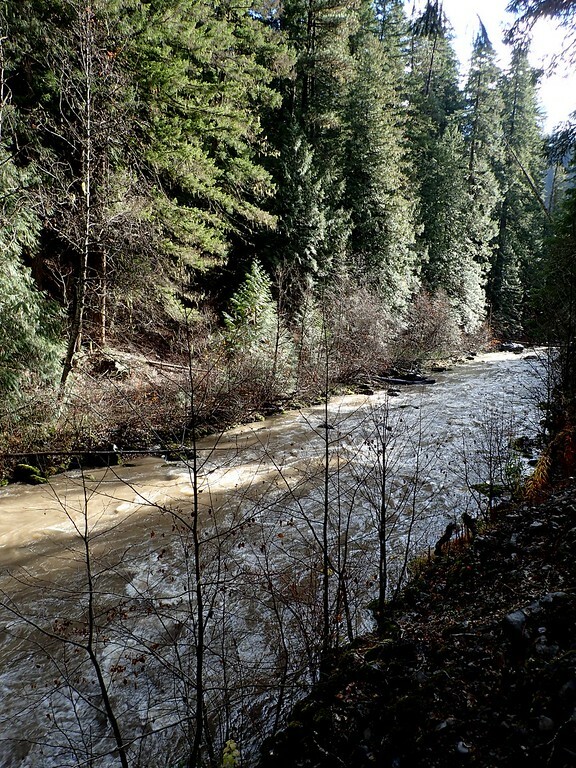 Serious snow is coming to the Cascades soon, so it looks like we won’t get a chance to visit our remining two wilderness area – the Menagerie and the Middle Fork Santiam – until 2017. It would have been good to get them all in 2016 but, then again, it’s equally as good to have some more wilderness visits in our future!